Discussion in 'Ranchero Tech Reference & Articles' started by HuevosRanchero, Mar 5, 2008. In other words he don't know where he put them!!!!!! dang rite. There is a 2 week rule...after that plausible deniability comes into play. 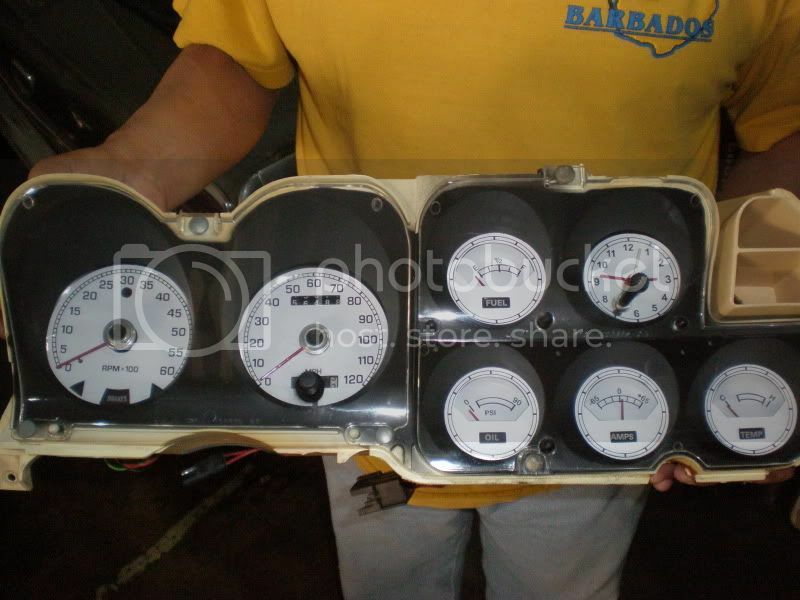 The tach and clock come back from the repair shop tomorrow and I will do them next. They had all kinds of testors red....no "signal"
I got a bottle of "1152 met. red rouge met." bummer..they've made it complicated! Guess its been a while since I bought model paint.. Someone had the answer and it was only one of the Brake brake lights has a bulb in it. In the procees of reinstalling the dash and the Brake light remians illumkinated. How is this "BRAKE" Light activated? hmm neither of those "additional" lights on mine work...never looked into making it work...would assume those are coming from the parking brake..?? is there a switch on there? sorry...wont be home til tomorrow to be able to look at mine. maybe the one that is lit when there is a problem with the brake proportioning valve?? would be good if cmdr Dan would chime in on this...might want to move this query to one of the other problem sections..
One of the brake lights is almost surely a signal from the so-called proportioning valve. Pull that wire loose at the valve and see if the bulb goes out? Ground it, and the bulb should come on. Connected normally and working right, it means the brake pressure pedal-down is not balanced right between front and rear. Some cars will also have a handbrake-on signal -- dunno about yours, but someone else will. The brake warning (proportioning valve warning) is in the speedometer on both the GT dash and the Conventional Dash. The GT dash "Park" lights to the right of the gauge group is a parking brake warning, fed from either an auxilliary harness specific to the parking brake assembly -OR- from the visibility group harness if present. The parking brake switch is extremely simple and could be "stuck". Was the gauge package original to the car or did someone add it? Are the leads on the wires green with some kind of red stripe or hash type tracer marking or purple with white tracer markings? Green/Red is parking brake warning, Purple/White is proportioning valve warning. Other color combinations are something else. Tell us what color the wires are and that can help us help you isolate the issue. Edited to add: The Purple/White stripe proportioning valve warning light wiring terminates in the dash cluster printed circuit connector thence to the light in the speedometer, there is no independent bulb-socket-pigtail assembly for the actual "Brake" warning. Nice job John, I orderd mine last week along with some high output LEDs. 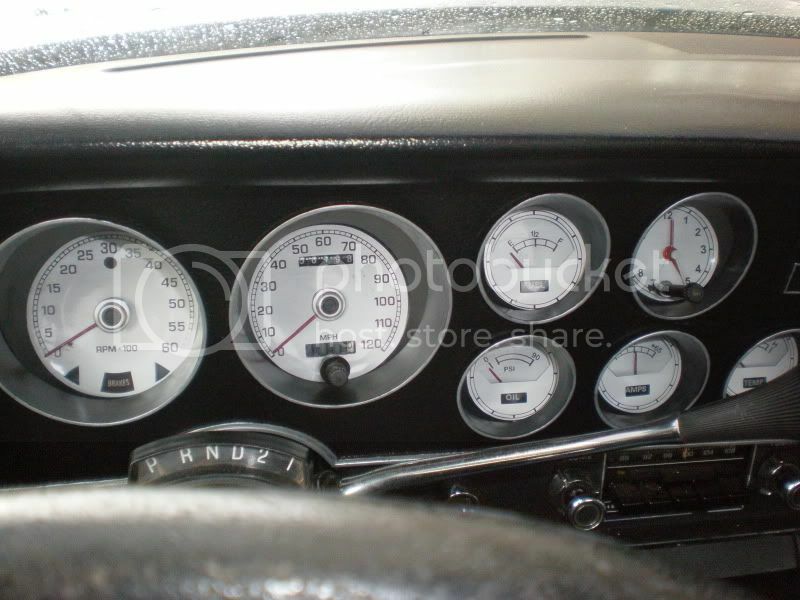 My gauge panel should be a little easier, I hope in the fact that I don't have the GT style cluster, don't really know why seeing the fact that mine is a74 GT. Was this a real difficult job? I was thinking of saving it for a winter project when I am board and won't be as likely to rush it. Also if I get into trouble with it maybe 72VAGT would let me ride down to visit him. Save it for the winter and start with the easy guages first....it took a few hours, but once you get the hang of it, there is no problem. You're welcome to come down when you wish. Either cluster could be ordered with any version although most GT's came with them gauge cluster. It could have been that a PO was having problems with his and converted to the standard cluster to resolve whatever issue he had. More likely the car was ordered with the "idiot light" option. 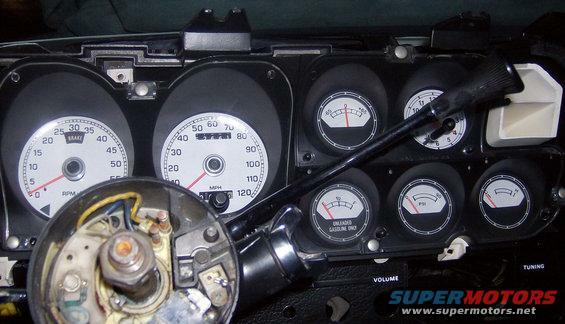 Thanks 72GTVA, You the man, My next question, when doing this gauge/dial conversion & adding LEDs, is there a way you can test the dash lights prior to hooking it back into the dash. I know LEDs have a polarity issue and sometimes they have to be turned around in the socket. I know you did an excellent post on the cluster dash, but mine just has the 3 large dials and 2 small dials for fuel & temp. and I understand that there is some difference in the wiring. New Dash, Tilt Columnm, and guages....its nice having clock and tac working!